A dental extraction (also referred to as exodontia) is the removal of a tooth from the mouth. Dental extractions are performed for a wide variety of reasons, including tooth decay that has destroyed enough tooth structure to render the tooth non-restorable. Teeth that have become "mobile" as a result of periodontal or gum disease. The extraction involves numbing the area with an anesthetic, as the socket will need to be expanded to separate the tooth from the ligament. Once this is achieved, the tooth will slide out easily. Consult with our team at Washington Dental if you think you need a dental tooth extraction. We will put your mind at ease as we walk you through what to expect and why teeth are extracted, or why it is actually better not to have a dental tooth extraction. We will also discuss any current medications that you may be taking so we can foresee any kinds of complications that could occur, and the details of the antibiotic pre-medication treatment that you can follow to facilitate a safe and quick recovery. A medical history is taken so that you can report any past problems you may have had with tooth extractions, such as bleeding problems. You will also be able to discuss any and all medical conditions, either treated or untreated, in order to ensure all relevant details are considered for a safe procedure. The dentist will want to know about any medications you are taking, including supplements, over-the-counter, prescription or herbal remedies as respects their effects on clotting. We’re here if you need an emergency dental extraction as well. We are able to respond immediately if there is ever an emergency situation where a dental tooth extraction needs to be performed right away due to pain or other pressing factors. At Washington Dental our goal is always to put you first. We always recommend what is best for you. 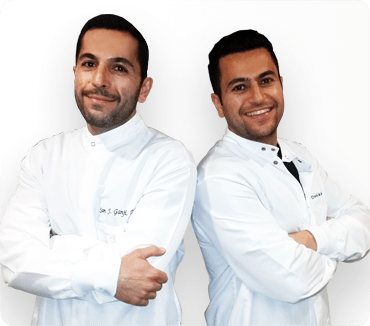 So whether you visit our dental extraction office in Los Angeles, Carson and Lomita, we’ll give you our complete attention and make sure that it makes sense for you. Call us today or contact us to schedule a free consultation visit with our experienced dentists today.